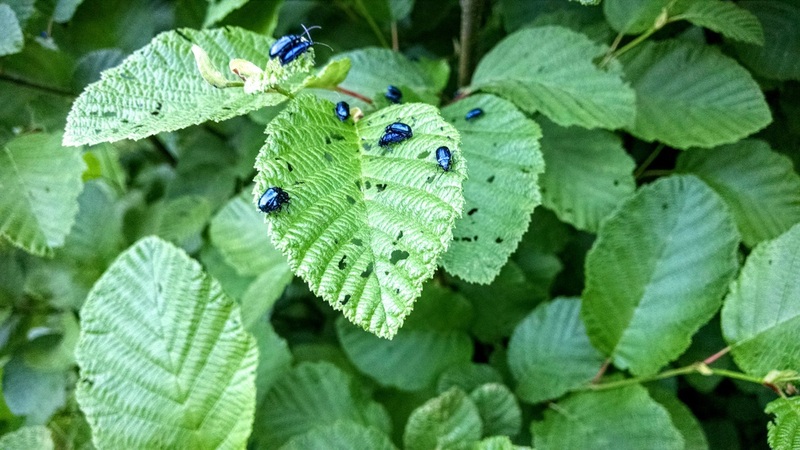 During the 1st eve of summer tree ID walk, the group noticed these blue bugs eating an alder near the trail. Karen Johnson took photos and did some research to find the ID. Thanks, Karen! Here's a good website if you want more information: http://www.fs.usda.gov/Internet/FSE_DOCUMENTS/stelprdb5186816.pdf.